Yes, my next literary baby is very nearly here :) And because I know it would be cruel to expect you to wait more than TWO WEEKS to have even a snifter of a look at it, here, just for you, is a sneaky sneaky preview of the first chapter! Lily tucked her pencil behind her ear as she headed for the door. She almost had this website design finished, with a whole day to go before the client's deadline. She was privately amazed that she'd managed to get the thing done on time, given the chaos in her house. Even now she could hear chisels and hammers and God knew what else in her kitchen, as the builders ripped out the old units ready for work on the extension to start. The ring of the doorbell had been welcome, actually. When she'd glanced at her watch she'd realised that she'd not taken a break since settling down in her home office at six. She was overdue a cup of coffee—and no doubt the builders would appreciate one, too. A glance through the hallway window afforded a glimpse of a taxi heading up the road, but she couldn't see anyone waiting behind the frosted glass of the front door. Strange…she thought as she turned the key and pulled the door open. No one there. Kids? she wondered, but she'd lived in this house almost all of her life, and she couldn't remember a single case of knock-door-run. She was just about to shut the door and head back inside when a kitten-like mewl caught her attention and she glanced down. A Moses basket was tucked into the corner of the porch, out of the spring breeze. Wrapped tight inside, with just eyes and the tip of a soft pink nose showing from the yellow blanket. A baby. Lily dropped to her knees out of instinct, and scooped the baby up from the floor, nestling her against her shoulder. Making sure the blanket was tucked tight, she walked down to the front gate, looking left and right for any sign of someone who might have just left a baby on her doorstep. She moved the baby into the crook of her arm as she tried to think, her brain struggling to catch up with this sudden appearance. And as she moved the baby she heard a papery crackle. When she pulled the corner of the blanket aside she found a scribbled note on a page torn from a notebook. The writing was as familiar as her own, and unmistakable. Which left all the questions she already had unanswered and asked a million more. She walked again to the gate, wondering if she could still catch sight of that taxi—if she had time to run and stop her half-sister before she did something irreversible. But as much as she strained her eyes, the car was gone. 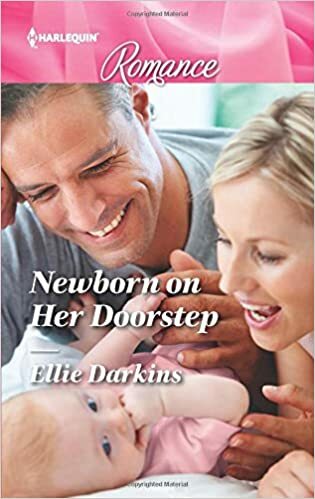 She stood paralysed with shock for a moment on the front path, unsure whether to run for help or to take the baby inside. What sort of trouble would her half-sister have to be in to do this? Was she leaving her here forever? Or was she going to turn up in a few minutes and explain? For the first time Lily took a deep breath, looked down into the clear blue eyes of her little niece—and fell instantly in love. So what do you think: curious to find out how that little bundle is going to turn two strangers' lives upside down? Well for your chance to win one of five free copies of the book enter my giveaway on Goodreads!